“Is it hot in here?” you ask, as you take off your sweater and throw open the windows. On a sweltering day, this would be normal. But it’s February and everyone else in the room seems to be perfectly fine. Ah, welcome to the weird and wonderful (OK, just weird—not wonderful) world of hot flashes. Here’s what you need to know. What are they? “Hot flashes are the release of heat from the skin,” Dr. Mache Seibel, author of The Estrogen Fix tells us. “They occur when blood vessels near the skin's surface expand to release heat, causing the person to cool off by making you break out in a sweat.” Hot flash symptoms include sudden feelings of warmth (typically on the face, neck and chest), redness, increased heart rate and sweating. When they happen at night, hot flashes are called night sweats. 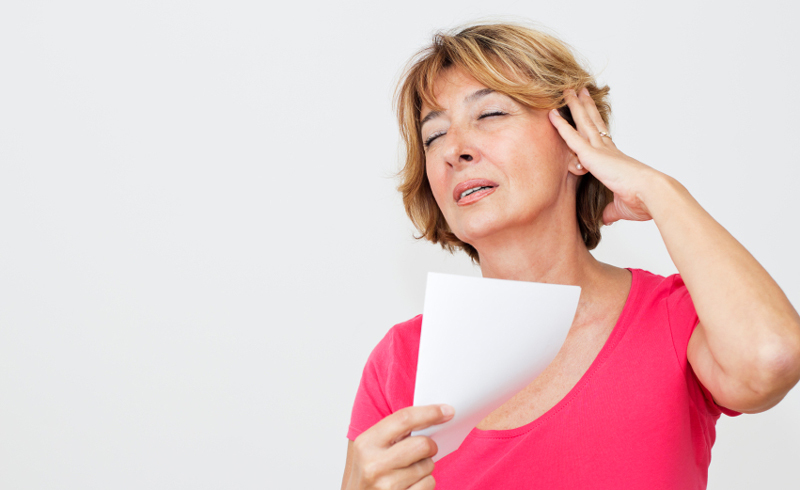 What causes hot flashes? While there are other medical conditions linked to them, hot flashes are most frequently related to menopause. And although not all women experiencing menopause will get hot flashes, they’re pretty common, affecting as many as 75 percent of women in the U.S., per the North American Menopause Society. But the truth is that we don’t know exactly what causes them, although we know that they’re connected to declining estrogen levels and changes in circulation. How long do hot flashes last? That completely depends. 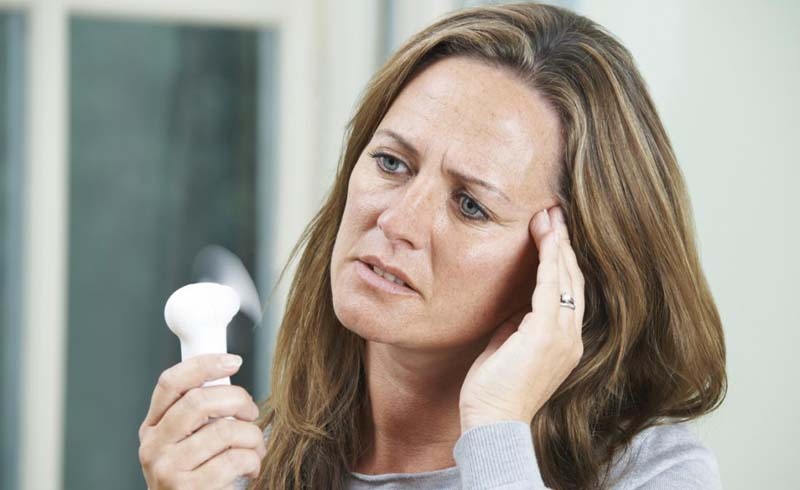 Some women experience a few per week, while others endure multiple hot flashes every hour. And like so much else surrounding hot flashes, there doesn’t really seem to be a clear understanding about why this is (although certain factors like smoking and obesity are linked to having more of them). As for how long you’ll have them, again, there’s no definitive answer. But on average, women get hot flashes for about seven years, according to a Harvard health report. What are the treatment options? The most effective treatment for hot flashes is hormone replacement therapy or estrogen therapy, Dr. Seibel explains. And for some women, antidepressants like Paxil and Effexor can also provide relief. “There are also many over-the-counter options used for hot flashes, including soy foods and supplements containing soy isoflavones (plant estrogen), black cohosh, flaxseed, and a growing number of proprietary blends and berries that often also include soy-based or soy-altered contents,” says Dr. Seibel. For over-the-counter products, she recommends trying one at a time only for two to three months and then switching to figure out what’s helping you. But for those who don’t want to use drugs, there are also a variety of lifestyle options that may be helpful. Lifestyle changes? Like what? First, stay cool (air-conditioning is your friend). That means wearing light layers of clothing, drinking cold drinks and investing in cooling devices (we love plugging these mini fans into our computers). And you’ll also want to avoid triggers like spicy food, caffeine and alcohol. Anything else? Every woman experiences hot flashes differently. Always talk to your doctor about your symptoms and before trying any medication or supplements.